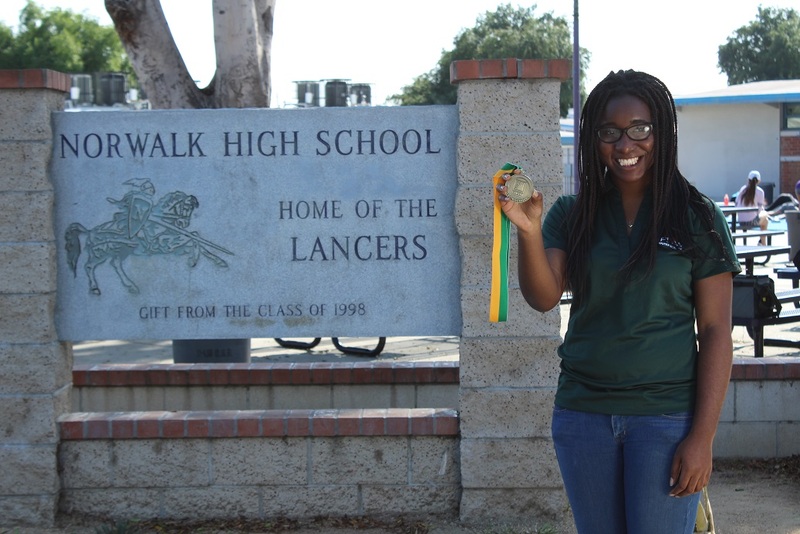 Norwalk High Senior Promise Agbo is closer to her dream of becoming a National Aeronautics and Space Administration (NASA) engineer after she was named one of 30 Edison Scholars across Southern California to be awarded a $40,000 scholarship. Agbo plans to major in mechanical engineering with a minor in computer science at Stanford University. She interned for a month at NASA in Houston, Texas where, at 16 years old, she conducted astronomy research and learned how to track asteroids by using the stars in the sky. She also worked with engineers and developed an idea on a hybrid spacecraft that would have dual functions as a satellite and a land rover. Agbo became interested in astronomy when her dad took her on midnight walks to discover Venus and constellations in the night sky. She built robots and videos games in seventh grade at Los Alisos Middle School, and learned about career opportunities in science, technology, engineering and math (STEM) fields from Teacher on Special Assignment Project Lead The Way coordinator Kelly Garcia. Agbo continued to study STEM subjects at Norwalk High by pursuing the school’s computer science and software engineering pathway. 050417_NLMUSD_EDISON1: Norwalk High School senior Promise Agbo was named a 2017 Edison Scholars, one of 30 high school seniors across southern California to receive a $40,000 scholarship. 050417_NLMUSD_EDISON2: Norwalk High School senior Promise Agbo (center) holds a check for a $40,000 scholarship with her family after being named one of 30 2017 Edison Scholars. Norwalk High School senior Promise Agbo was named a 2017 Edison Scholars, one of 30 high school seniors across southern California to receive a $40,000 scholarship. 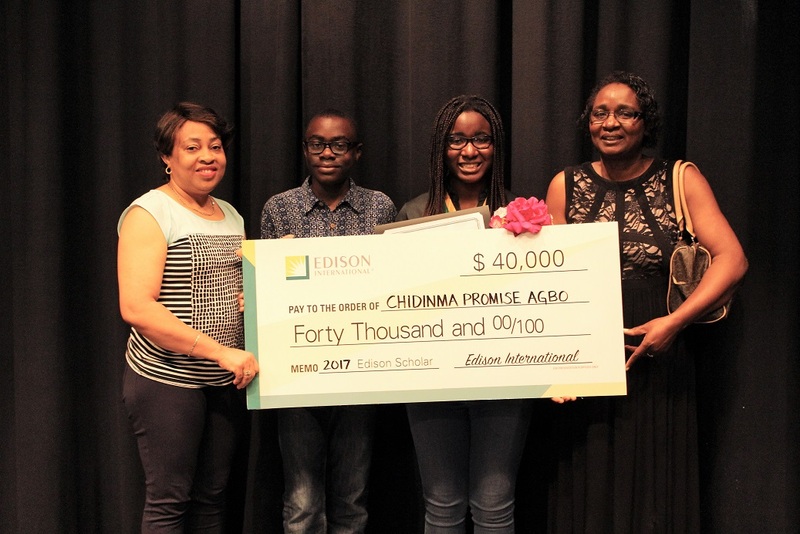 Norwalk High School senior Promise Agbo (center) holds a check for a $40,000 scholarship with her family after being named one of 30 2017 Edison Scholars.